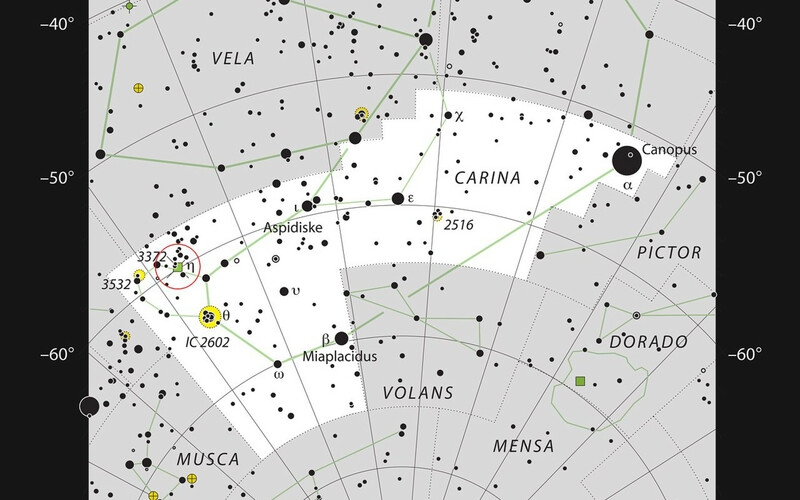 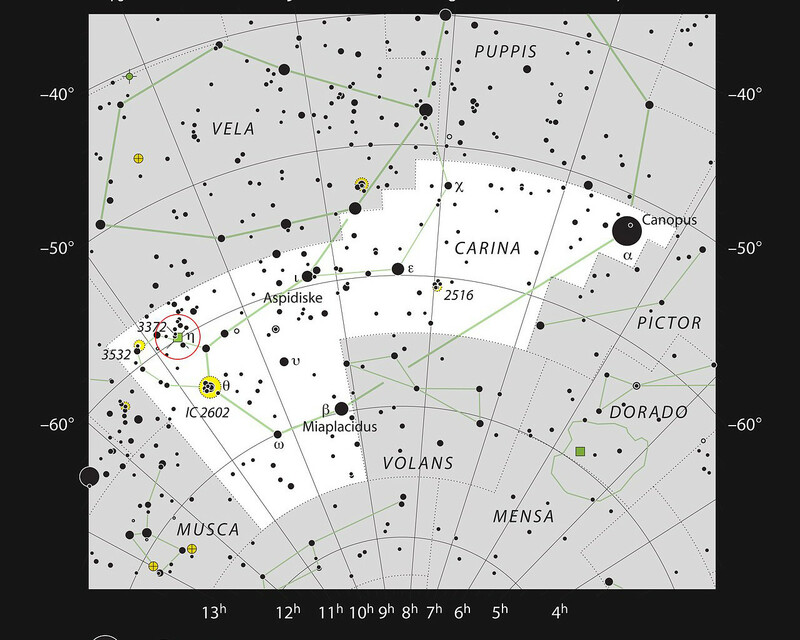 This chart shows the location of the Carina Nebula within the constellation of Carina (The Keel). 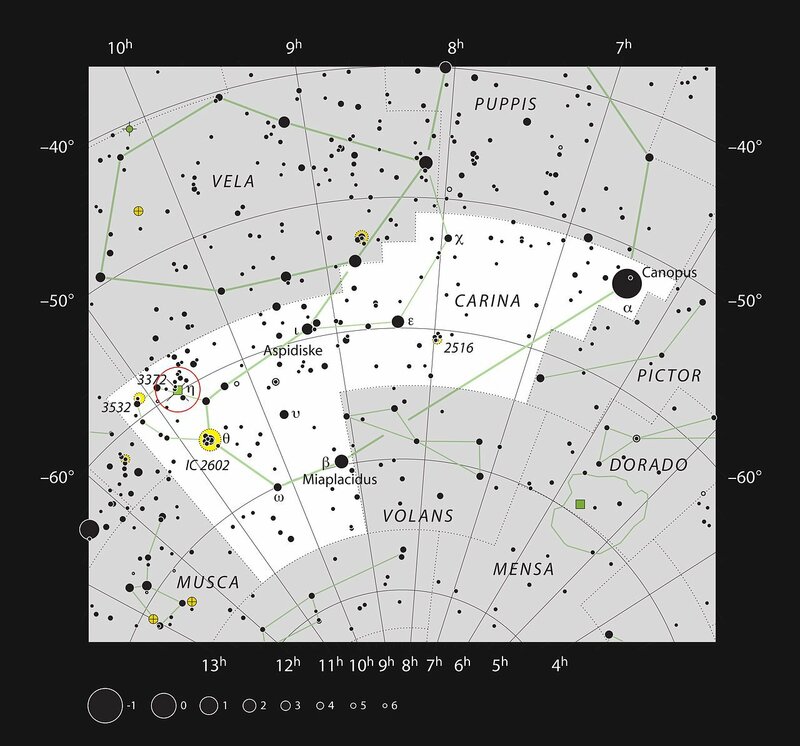 This map shows most of the stars visible to the unaided eye under good conditions and the nebula itself is marked as a green square in a red circle at the left (labelled 3372 for NGC 3372). 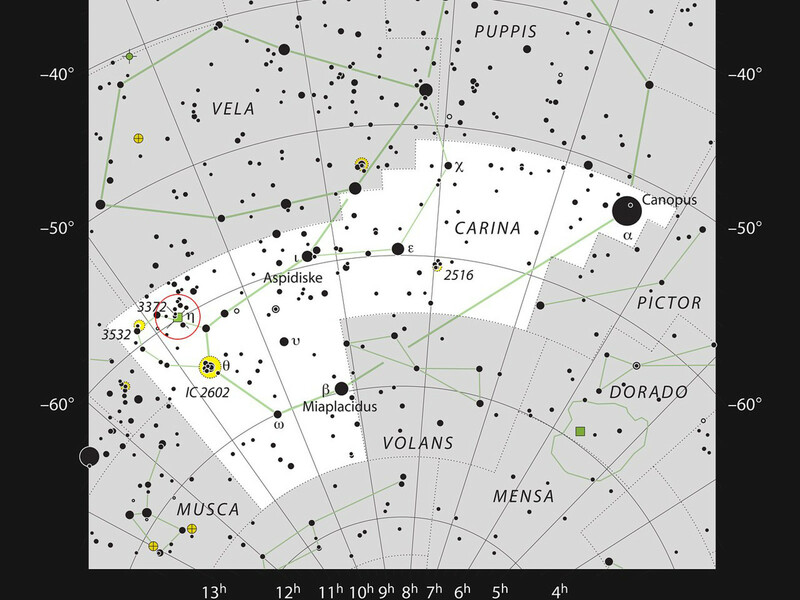 This nebula is very bright and can be seen well in small telescopes, and faintly without a telescope at all.